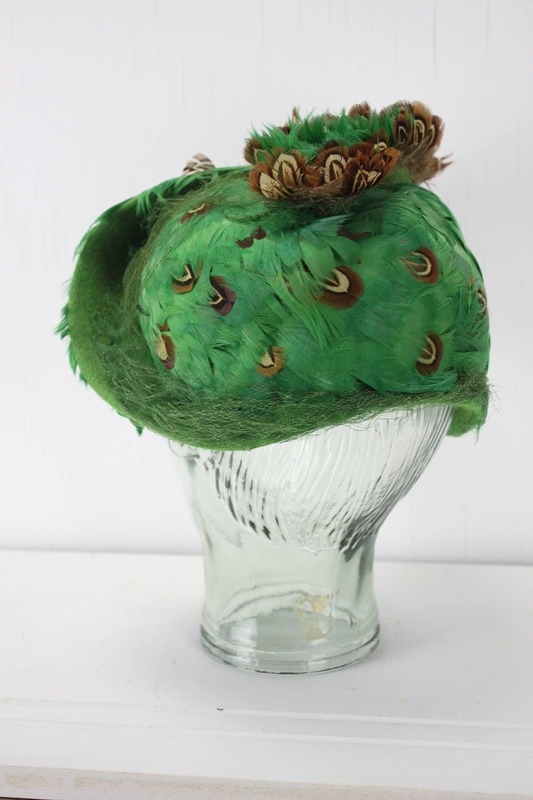 Just about as art deco as it gets! 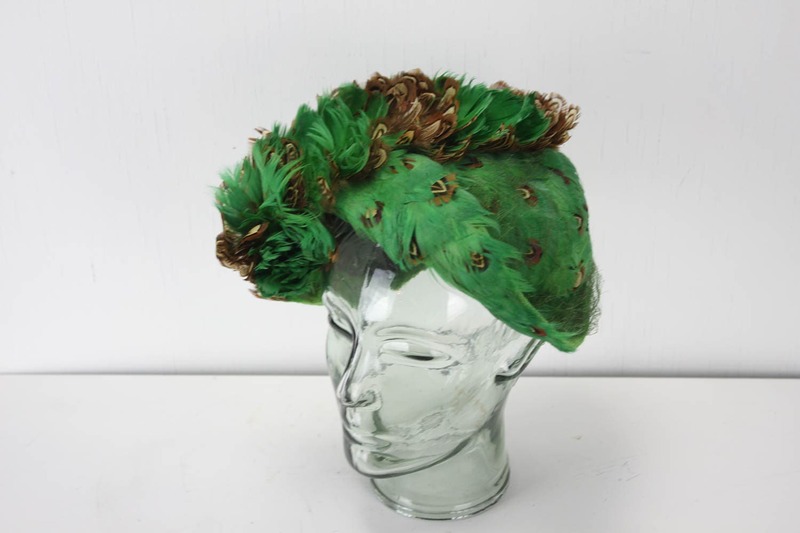 This bold green hat features heavy wool felt construction with a woven green main material, black satin lining and a comb. 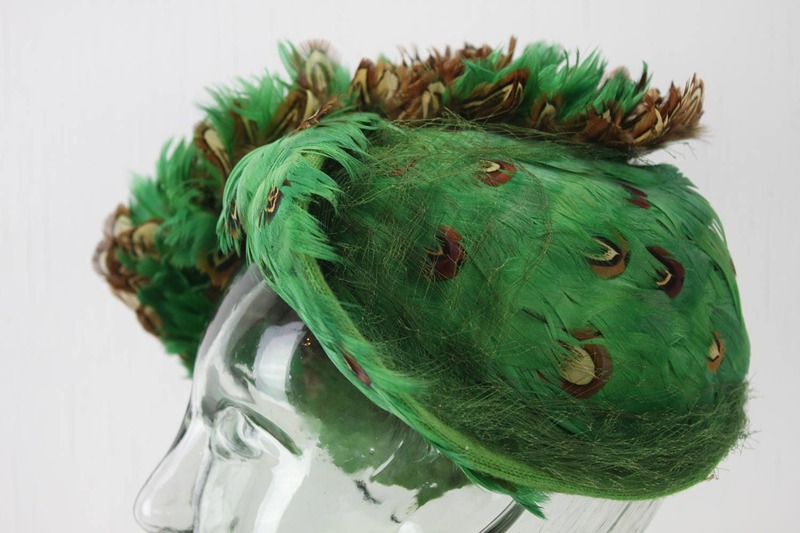 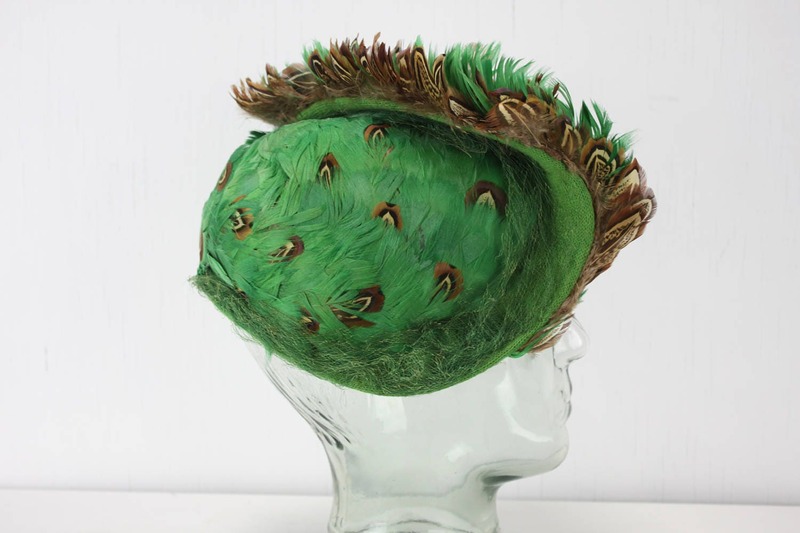 The exterior of this whimsically shaped hat is covered with green feathers dotted with pheasant feathers and has a striking ruffled mane! 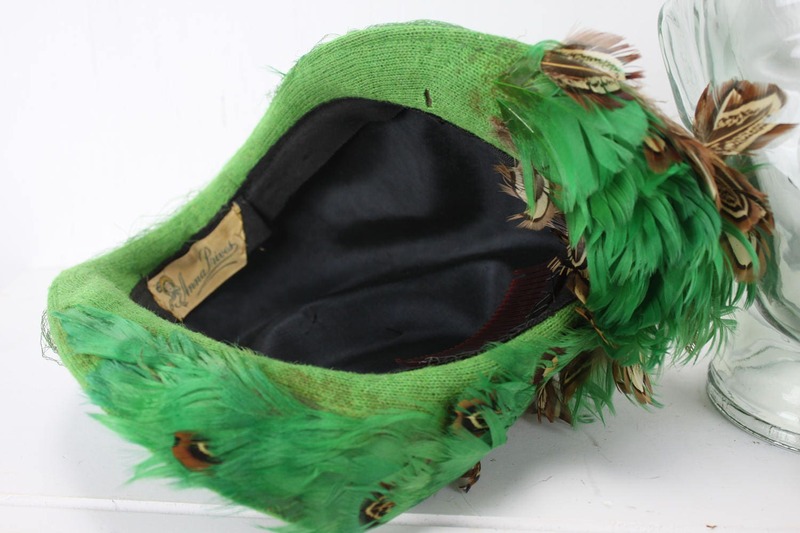 The veil of the hat is in poor condition but could easily be removed without damaging the hat or diminishing its aesthetic.